The teams at the top look like the teams at the top. By this point in the year, we can clearly say that Alabama and Clemson are the best two teams in the country. We also believe–in no particular order–that Georgia, Oklahoma, West Virginia, Michigan, Notre Dame and UCF are good as well. Beyond those handful of teams, who are you? More than any other year in football, the teams outside the top 10 simply are not all that good. Just about any of the teams outside the top 10 can beat anyone on a particular Saturday. Who are you Florida? Good enough to beat LSU but walloped by Kentucky (that’s not so bad) and Missouri (that’s terrible) at home. Who are you Pitt? You beat UVA and Syracuse and played Notre Dame to the end before falling. You got crushed by UCF and Penn State and somehow lost to UNC. Now you’re on track to represent the Coastal Division in the ACC Championship game. Who are you Auburn? Beat Washington at the start of the season and Texas A&M last week. That’s pretty good. But you lost to Tennessee at home which is beyond terrible. My point is this: it is difficult to judge how good a win is for many of the teams at the top because the teams in the middle are so darn inconsistent. At least we don’t have to wonder about Miami and Florida State. They are both terrible and everyone knows it. Quick point about UCF. Knight fans are going to howl and whine about how UCF is being treated in the playoff chase but they have themselves to blame. UCF had a golden opportunity in prime time to show all of the writers that are too busy on Saturday working their own teams just what the Knights are all about. They flat out blew it. UCF gave up more than 650 yards to a Temple team that opened the season by losing to FCS school Villanova. No more talk about deserving to be in the playoffs, Knight fans. Focus on winning all of your games and revel in making it to a New Year’s bowl for a second straight year. Who would you have as #4–and therefore in the playoffs? The debate is between Georgia and Michigan. Georgia lost at LSU but Michigan lost at Notre Dame. Slight advantage to Michigan on the team’s loss. How about wins? Georgia has wins at South Carolina (5-3), on a neutral field over Florida (6-3) and at Kentucky (7-2). Compare that with Michigan’s wins over Wisconsin (6-3), at Michigan State (6-3) and the beatdown the Wolverines gave Penn State (6-3) in Happy Valley. I’ll say Michigan has the edge for now but the margin is razor thin. 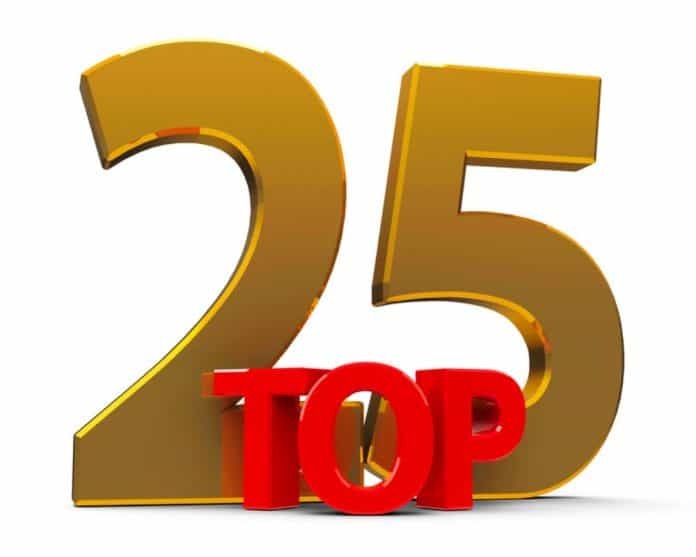 Here is my Top 25 for the week beginning November 4th. Alabama (9-0) Any doubt left? Clemson (9-0) Clemson ran all over Louisville with three RBs going over 100 yards. Notre Dame (9-0) Not a pretty win at Northwestern, but a win nonetheless. Michigan (8-1) Revenge tour has three huge wins in a row over good programs. Georgia (8-1) Clinched SEC East. Now the Bulldogs get Auburn in a huge game. West Virginia (7-1) Now they have a legitimate big time win. Washington State (8-1) Beat Utah, Stanford and Oregon. Much more than UCF can say. UCF (9-0) If you’re going to be on national TV, you have to win big. Ohio State (8-1) Something just looks wrong with this team. Oklahoma (8-1) Another week against a decent team but, again, played no defense. LSU (7-2) It’s not that they lost, it’s that they did absolutely nothing with plenty of opportunities against Alabama. Texas (6-3) Two loss teams I could put here don’t have the big win Texas does. Kentucky (7-2) Refocus Cats. You still have a shot at a legendary season. Boston College (7-2) Can get inside track to win their division and keep Clemson out of the conference championship with a home win Saturday night. Mississippi State (6-3) Florida has them head to head but none of the Bulldog losses are as embarrassing as what happened twice to the Gators at home. NC State (6-2) Lacking that big win, but have beaten Boston College. Auburn (6-3) They can still accomplish a lot this year with Georgia and Bama still to come. Syracuse (7-2) I have questions as to whether or not they can finish strong. Utah State (8-1) Lost the opener close at Michigan State but have been whipping teams since. Washington (7-3) Win over Stanford gets them back in the rankings. Cincinnati (8-1) Because I would slightly favor them over the Gators. Florida (6-3) Just an awful, awful performance Saturday. Penn State (6-3) Did not look good being trounced by Michigan. Fresno State (8-1) Have not watched them since the Stanford loss to open the season. Maybe I’m their bad luck charm. Wisconsin (6-3) Wisconsin, Michigan State and Iowa are all the same average team to me.